Insights on Caring for Any Aging Parent * Timely guidance for the challenges * Encouragement for the journey You had plans for this time in your life, but now a parent needs care. It s a confusing, stressful, and exhausting time. But it can also be a time of remarkable spiritual growth. 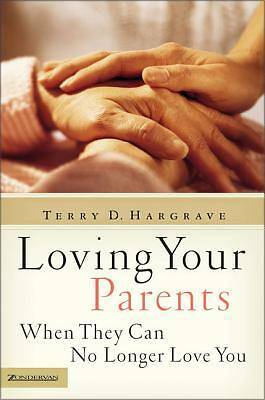 Loving Your Parents When They Can No Longer Love You helps you navigate your role as caregiver with God s grace and guidance. And it alerts you to the difficult issues you may face, such as: * Legal and financial decisions * How much care will be needed and when * Evaluating different living options * Depression, dementia, and Alzheimer s disease * Caring for a parent who has mistreated you * Accepting and planning for death Most important, this book helps you embrace caregiving as a spiritual journey that will deepen your faith and strengthen your character. It not only opens your eyes to the realities of caregiving; it also teaches you how to allow God to change your life for the better."